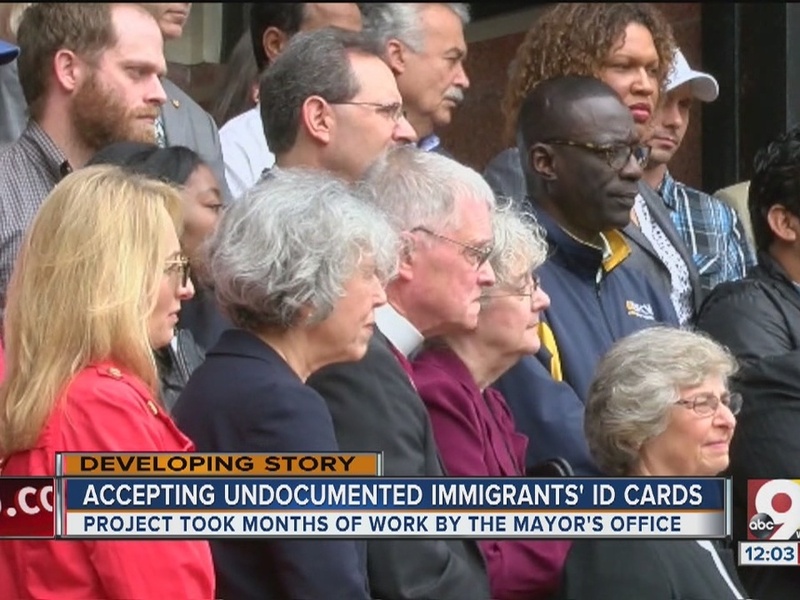 CINCINNATI – A new program will provide photo ID cards for immigrants, homeless people, those getting out of prison and others who don’t have access to traditional government ID. 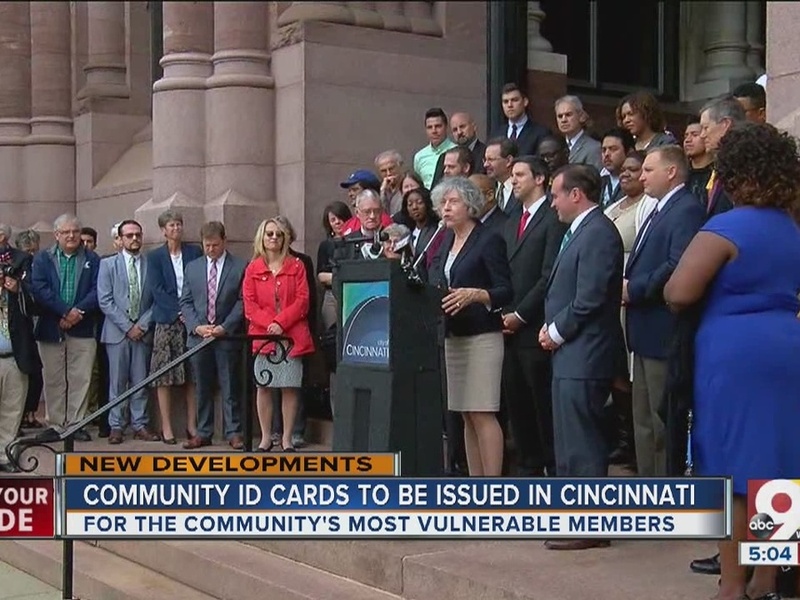 The Metropolitan Area Religious Coalition of Cincinnati (MARCC) ID card program would make new IDs available through the city. The cards could be used by victims of crimes to identify themselves when they go to the police, or as a stand-in while waiting for a state ID card. "One of the problems if someone has no official identification is that they have no place to put their case," Rabbi Margaret Meyer said. "Many of these people have to walk around, as someone quoted, 'like a walking ATM.' This makes them so much more vulnerable for muggings, for beatings. And, again, if they don't have an official identification card, they're reluctant to report that." The supporters of the MARCC ID program include Mayor John Cranley and Police Chief Eliot Isaac, who both spoke in favor of it outside City Hall Wednesday morning, ahead of a City Council vote on the plan. "The bottom line is: we are all committed to safety, and this measure will allow citizens to feel safe about talking to the police when they may not normally have been, and feel that they can report crimes and be able to identify themselves and not see police as a threat to them," Isaac said. The Council approved a resolution supporting the program by a 5-1 vote, with Amy Murray voting against and Christopher Smitherman, Charlie Winburn and Kevin Flynn abstaining. MARCC Executive Director Margaret Fox said the program would help those in need. The idea is based on a program in Greensboro, North Carolina, where a group called FaithAction worked with local police to provide identification to residents who might not have access to other forms of government ID. The group has reportedly distributed thousands of ID cards to people ranging from new immigrants to an octogenarian whose birth records no longer exist. Catholic Charities CEO Alisa Berry recently traveled to Greensboro to learn more about their program. "It won't just help the immigrant population in Cincinnati," Berry said. "It's going to be a community ID for those law-abiding citizens who have limited access to government-issued IDs. It's going to help the homeless population. It's going to help the re-entry population as they come back home and really try to get settled back into Cincinnati as well." They plan to hold monthly ID drives to get the new cards to those who need them. The cards will cost $15. Applicants for the MARCC program would have to show some form of existing ID to get a card, such as a passport or birth certificate, in addition to proof of current address. The cards expire after a year.